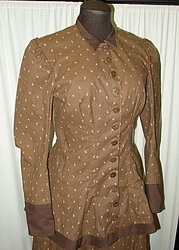 The bustle drops and the bodice elongates and becomes more fitted in the curiass style. Trains on gowns become so popular, fashion magazines mention washerwomen dragging their skirts about in the mud. 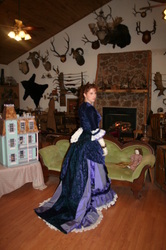 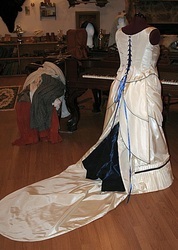 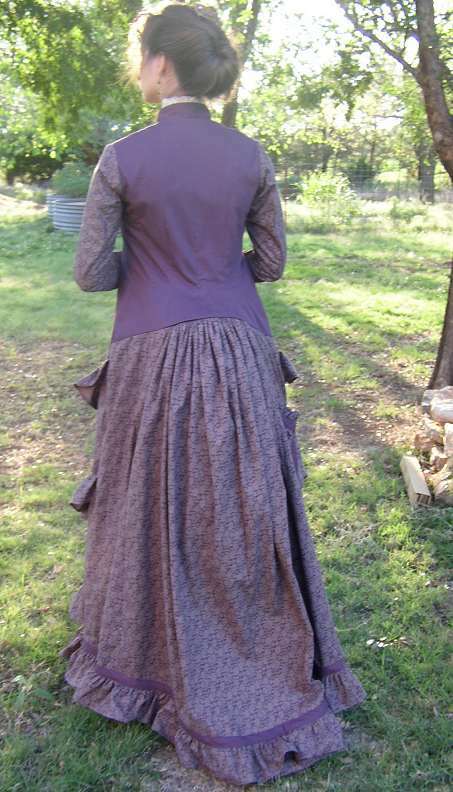 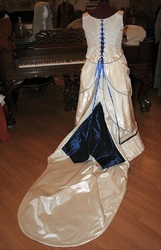 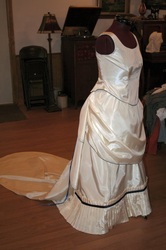 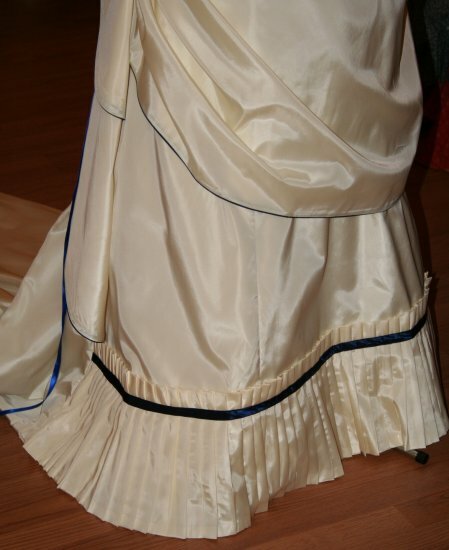 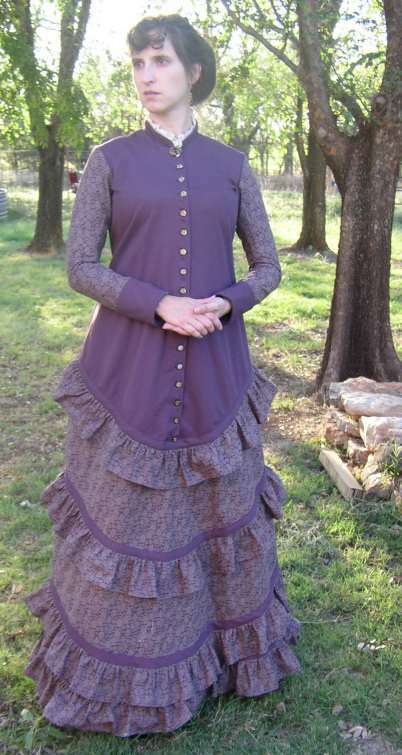 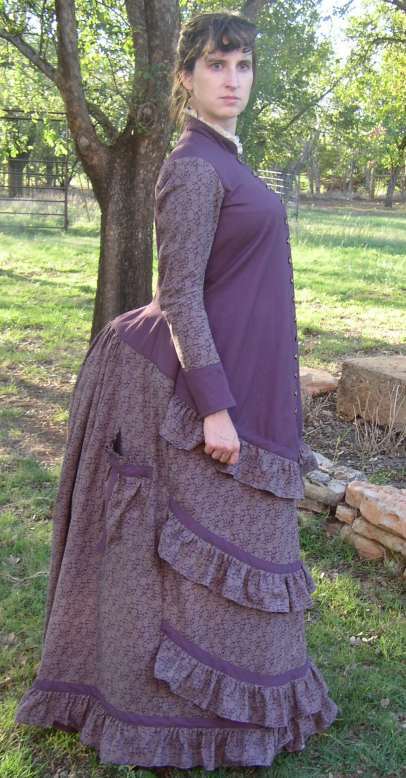 Overskirts are long and designs are symetrical on the skirt.